Lately, I have been seeing a lot of discussion on the terms "disability privilege," also known as "able-bodied privilege." Upon doing my own research on this topic, I was instantly hit with my own question, "Why aren't we calling this what it really is and that's a fight for our rights as people with various disabilities to be seen not as disability rights, but as civil rights?" The articles I have found on this topic all share the same theme: the theme of equality. 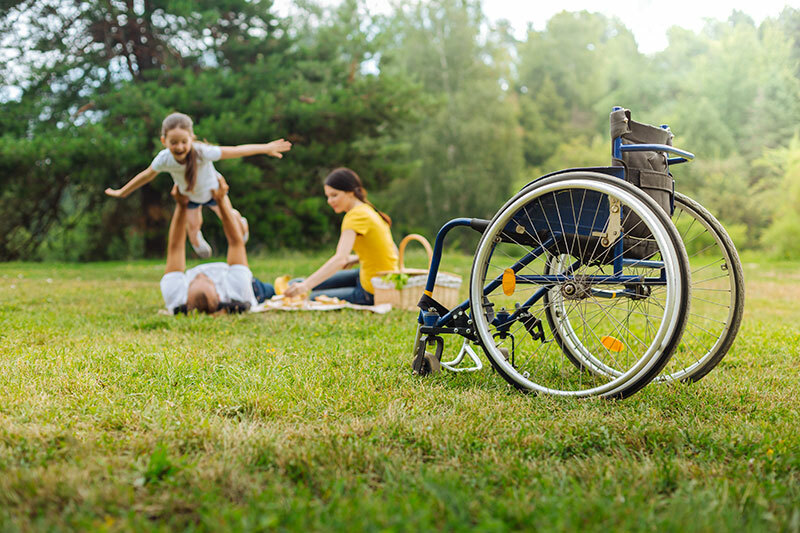 An equal share of the opportunity to live a full and meaningful life just like their fellow neighbor, regardless of whether or not they too have a disability. By definition, the word privilege means "A right, immunity, or a benefit enjoyed by one person beyond the advantages of most." Why are the lives of those considered a privilege rather than seen as a person just like everyone else? I recently watched an episode of the CNN TV Series, United Shades of America where the host, W. Kamau Bell, traveled to multiple locations within the U.S. to interview people with various disabilities. One of them was a gentleman by the name of John Kelly who is a disability activist from Massachusetts. He said that there was a national movement happening where if you found yourself disabled and reliant on others, the state would sponsor your death if you chose to end your life for fear of being a burden to family and friends. You can watch the episode: United Shades of America: The Disability Community. What really struck me about that statement was that the government seemingly has no issue with assisting someone end their life, but when it comes to assisting us in prolonging it to the best of our ability, it's a different story. Instead we hear, "You're not disabled enough," or, "We just don't have enough funds to continue this program or to continue with this service." Why? Where does all that money go? And why does my life have a price tag attached to it that you will only acknowledge if I reach my demise? Why doesn't the value of the disability community mean more to you? Just because we are disabled in some way does not mean we are seeking anything out of the ordinary. We only want an equal shot at all the things you have to help you live a fulfilled life. Yet, we're being carried out in handcuffs for protesting to protect our programs and necessities from being cut simply because the government sees little value in our community. The desire to have health care, in-home assistance, employment with benefits and tenure, a right to a home, legally marrying our significant others, reliable and accessible transportation for those who don't drive should be considered civil rights and not privileges. Equal ground to share with society, and even with those higher up the totem pole than us. I would also like to suggest that, when you start to break ground on a new state facility or property, you do more focus group(s) with people with various disabilities. We are the true experts when it comes to what works and what doesn't when it comes to universal design. The government is one of the most powerful and influential groups of people who use a very narrow telescope to view the world and it's all issues. I simply ask that they put down that telescope and take a step back and look at the entire picture for what it is. You have an entire community that gets undervalued, underappreciated, abused, dismissed and ignored every single time we go out into the world. And your decisions and choices impact how society acts and reacts to someone who is different than them. We are not a privileged part of society like you too quickly assume; rather, we are quick to be forgotten part of society with whom you would rather cut ties than help. The disability community is a group of individuals who have their own set of tools and abilities that could make this world a better place for everyone. That is the true privilege that society and the government are missing out on. We are people who simply what to be given the respect and equal opportunity to live, grow and live to be the best versions of ourselves like our fellow neighbors. We are not lost or broken and do not deserve to be cast away to an island where no one can hear or see us again. Is it not disturbing that the disability community has more legal options regarding our demise? What if someone asked with genuineness in their voice how they can assist us in making life worthwhile? That answer is not as complicated as you believe it is, ladies and gentlemen. Let us live our lives accordingly; let us be seen as part of the human race instead of a problem you must quickly erase. We are individuals who believe the only privileges we deserve are ones we earn. But how can we earn anything if we aren't seen as people who are deserving of the chance simply because we have a disability? If we are truly honest here, the only true disabling thing that is happening now is that the actions of society and our government are so against the disability community, they do not recognize that we would enrich and strengthen society as a whole. This stance needs to be demolished, and a new conversation where we are included needs to begin. Steps need to be taken where everyone involved is growing together, finally closing the gaps between society, government and the disability community. Where do we work together, and not against one another all for the same goal? A world where every community lives respectfully and peacefully among one another without judgment or criticism. That is not a privilege; it's our civil right and our duty to make sure this happens in my lifetime so that future generations don't have to pay the price for this type of chosen ignorance. Jessica Niziolek is a disability activist and freelance writer. She is passionate about helping people and has made it her mission to make the silent and dismissed are seen and heard. She believes these voices are what the world needs to hear, especially in today's climate. She loves coffee and the written word, and believes in the power of music to heal. Read more from Jessica at her new blog, Abler: Equality for the Disabled.